Online credit card donations facilities have been withdrawn from four NGOs: Al Haq, Women’s Affairs Technical Committee (WATC), Union of Agricultural Work committees (UAWC) and the Alternative Information Centre. 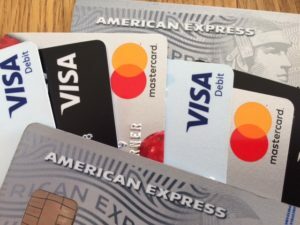 The credit card facilities were terminated as a result of letters sent by UK Lawyers for Israel to Visa, Mastercard and American Express, alerting them that they were providing financial transaction services to organisations with links to a terrorist organisation. Although these organisations purport to be charities, they have very strong links with the Popular Front for the Liberation of Palestine (PFLP) which is an active terror group, designated as such by the UK and other countries including the US and EU. One of its recent atrocities was the shooting dead of 5 people in a synagogue at Har Nof, Jerusalem in November 2014. Several UK Charities also have links with these organisations: For example Al Haq is funded by Christian Aid and Medical Aid for Palestinians has close links to Al Haq and AIC. UAWC was founded by members of the PFLP and continues to be listed as an official “affiliate” of the PFLP. The Israeli Internal Security Agency (Shin Bet) has recently confirmed the connection of UAWC to the PFLP. The WATC named a youth centre after Dalal Mughrabi, a terrorist who in 1978 murdered 37 civilians, including 12 children, and aimed to educate Palestinian youth about Mughrabi’s murderous terror attack and the history of her “struggle”. The Norwegian government, which had contributed funding the centre, asked for its funding to be repaid when it found out about the building’s purpose. Al Haq’s director, Shawan Jabarin, was a senior PFLP commander and maintains contact with PFLP operatives in the West bank. Several other Al Haq employees are also PFLP members. A director of AIC, Nassar Ibrahim, is also the former editor of PFLP’s weekly publication. AIC Board of Directors member (2008) Rifat Odeh Kassis has links to multiple NGOs with PFLP ties and was arrested and imprisoned several times by Israel. UKLFI first wrote to the credit card companies in September 2017 and asked them to cease providing payment transmission services for the NGOs, given their links to the PFLP. No response was received. However, in early April 2018 after checking the websites of the NGOs in question, it appeared that the credit card donation facilities for Al Haq and AIC were no longer working. UKLFI wrote again in April to Mastercard, Visa and American Express, requesting that they withdraw their financial facilities to the other terrorist linked NGOs. They all responded saying they would investigate the matter. On 26 April 2018 UKLFI received an email from Pivotal Payments, an organisation which facilitates payment by credit cards between customers and merchants worldwide, and the credit card companies. Pivotal’s Director of Compliance explained that Mastercard had forwarded UKLFI’s letter, and they had investigated the transactions and found that one of their supposedly bona fide merchants, based in the USA, had been “transaction laundering” for two of the NGOs – WATC and UAWC. He said that these organisations “are more than likely not able to secure their own merchant processing account so they convince someone who has an account to use their credentials. We have tools and schemes to identify this activity, but it is not always easily identifiable”. Pivotal confirmed that it would “take adverse action” on its merchant’s account and suspend the account. This would have the effect of stopping WATC and UAWC from being able to receive donations by all credit cards. Pivotal also informed us that it had carried out its own research on WATC and UAWC and confirmed that both had links to terrorist organisations. UKLFI is grateful to NGO Monitor for providing the information on links between these NGOs and the terrorist group PFLP.